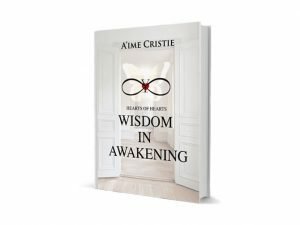 The below pages represent an excerpt from the book Grace – Wisdom in Awakening. Romance is the air we breathe, the flowers we smell, romance is the many shapes and forms that lights a spark in our eyes. Romance is the provision, the food that nurtures my soul. I found out from my own life that grace and beauty never dies, yet I might encounter it in a different way, in another time. One evening while I was teaching we were doing a simple exercise which I recommend to all of my readers. This apparently simple exercise has a profound impact in anyone’s mind as the search for romance cease to exist, but into the moment of here and now. Seeing the many forms in which romance is expressed as a presence through our life fills in the void of loneliness in our heart. We realize that romance is not missing but it is to be found in one many forms that shape our daily lives. Anything like seeing a sunset, smelling beautiful flowers, a walk in the park, even when we have no one else, but ourselves to hold, it’s romantic, sitting down next to a fire place, reading an amazing book, covered up in fluff, it’s romantic. Being present in as many romantic moments of our lives up to this current one gives us the chance of filling in the voids of loneliness with the presence of here and now. In these moments what stood out most, was the realization of recognizing beauty, not only in the physical aspect, but in the measure of difference and impact that I could have, in transforming people’s lives. My psychical beauty transcended from the time when I was 18 and I mostly considered my body as beautiful to an expanded state of my current age, where I see the many forms and expressions of beauty which shaped my life. The now defined fulfillment of my being, loving myself in the synthesis, in synchronicities, of complementary opposites, has become the value that defines the impression which I have about myself, as the now, of my existence. Being in a state of grace has become more valuable than anything else; the passing of time might put a few wrinkles on my face, yet left a few smiles on my life. Please click on the button to be presented with the guiding steps of how to be present with the many forms of light, lux and luxury, material possession that manifest through the journey of your life. Find out more about the classes that we teach on how to overcome the problems that you experience in you “re life. Over 100 topics discussed and solutions provided.